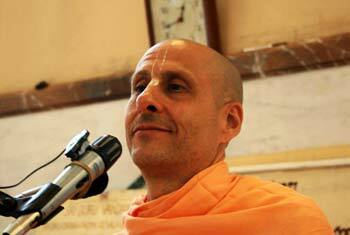 Question to Radhanath Swami: Chanting and hearing are the basic principles in Bhakti Yoga. What is the logic behind these principles? 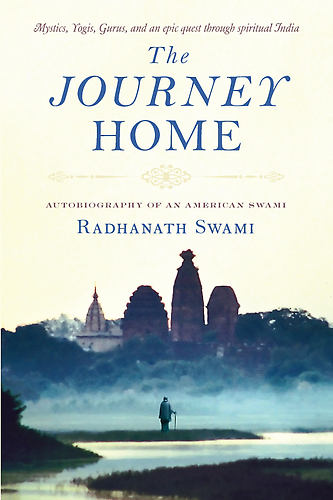 Radhanath Swami :Anyone who is practicing Bhakti or Devotional service is the most fortunate. If you are blessed with the seed of devotion, you must carefully take care of it. It is like a flower plant which should be watered regularly. The watering process for Bhakti is to water it with the sound vibrations of the glories of the lord produced by chanting. Sound vibration is the most powerful force within the entire cosmic manifestation. It was by sound vibration that this entire material creation was created. In the Bible it is described that the beginning of the Creation was with a word; the word ‘God’. Also, in Srimad Bhagavatam it is described that when the secondary creator Lord Brahma was born, he was bewildered and he didn’t know what to do. All around him was simply darkness, emptiness, and loneliness. At that time he heard a sound vibration of two syllables – ta pa. “tene brahma hådaa ya adi-kavaye.” To the heart of Brahma God spoke these two syllables–ta pa. And by the sound vibration of those two syllables Lord Brahma began to meditate and performed tapasya, austerities. Through this process of tapasya he understood exactly how to create the fourteen planetary systems of this universe. So it is through sound alone that the universe is created. There is no greater healer and there is no greater destroyer than sound vibrations and the condition of the world is very much dependent on what sound vibrations are permeating the atmosphere. 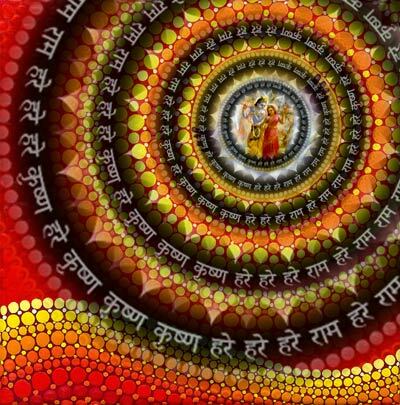 When the atmosphere is filled with transcendental sound vibrations, like that of the Hare Krishna mantra–Hare Krishna Hare Krishna, Krishna Krishna, Hare Hare/Hare Rama Hare Rama, Rama Rama, Hare Hare–then everyone’s consciousness will naturally be uplifted. The purification of the consciousness of the entire planet will take place by hearing and chanting of the holy names.